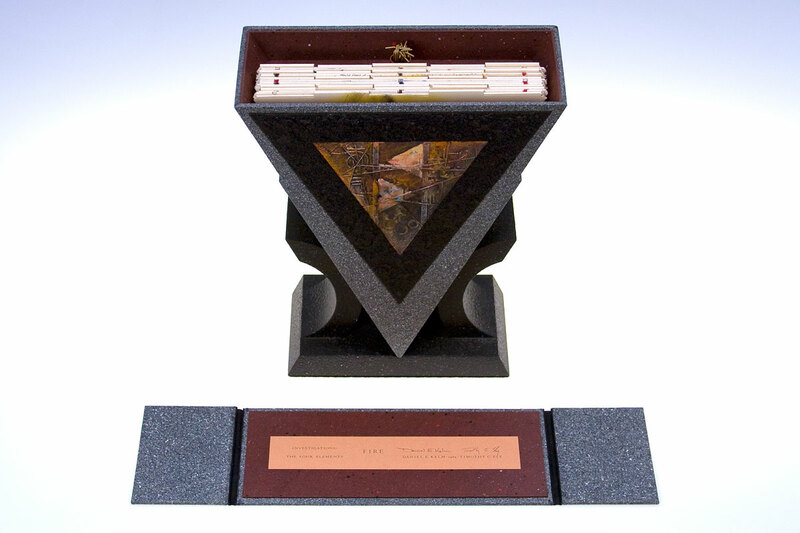 The series of unique books Investigations: The Four Elements draws upon Kelm’s and collaborator Tim Ely’s shared interest in alchemy and sacred geometry. Each book consists of a set number of interlocking panels that can be assembled into one or more shapes forming Platonic solids. The Platonic solids—tetrahedron, cube, octahedron, dodecahedron, and icosahedron—are polyhedrons with congruent sides, edges, and angles. Although these five shapes were known prior to Plato, they are specifically mentioned in his dialogue Timaeus. In this work, Plato describes these solids as the building blocks of matter, equating the tetrahedron with the element of fire, the cube with earth, the octahedron with air, the icosahedron with water, and the dodecahedron with the materials that form the stars and the cosmos. Painting and surface treatments by Ely. 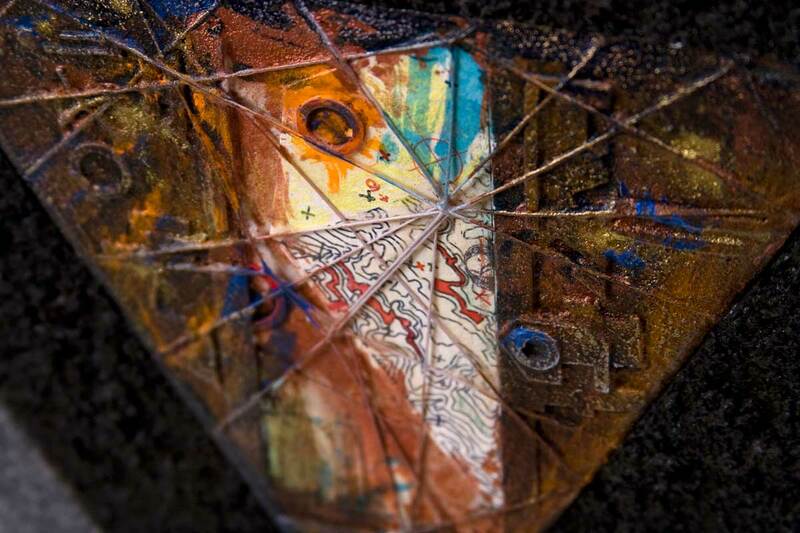 Acrylic and ink on paper, acrylic polymer medium mixed with wood chips, collage constructions, painted cloth and poplar wood, magnets, brass rod and tubing, thread, and wire edge binding. You may request to see this book at the University of Wisconsin-Madison, Kohler Art Library. 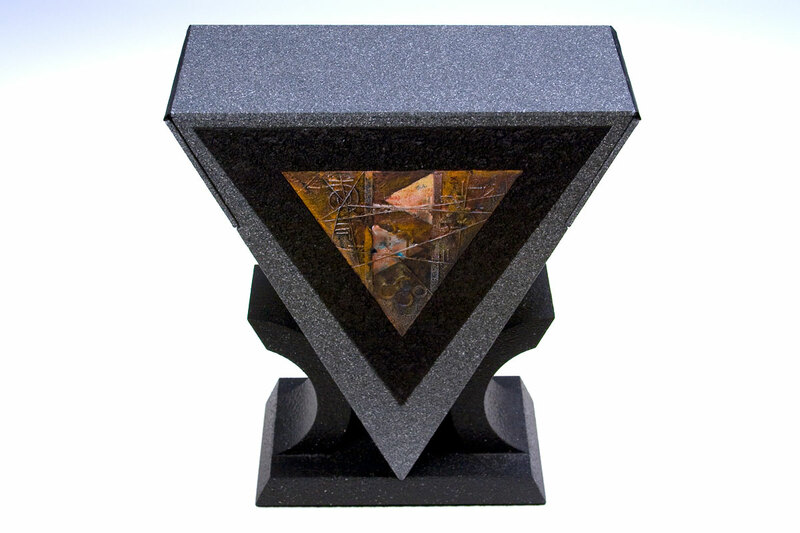 The triangular-shaped box sits in a stand. The top of the box—held in place by magnets—is completely removed, and is pictured here upside down and in front of the box. Here you encounter your first glimpse of the page panels and the quiver of pins inside the box. 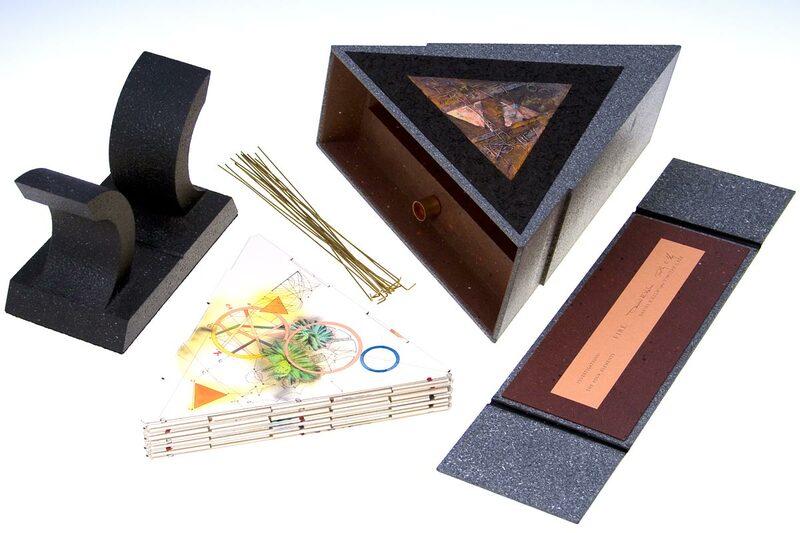 The various components of the book sculpture: the box and box top, stand, pins, and page panels. 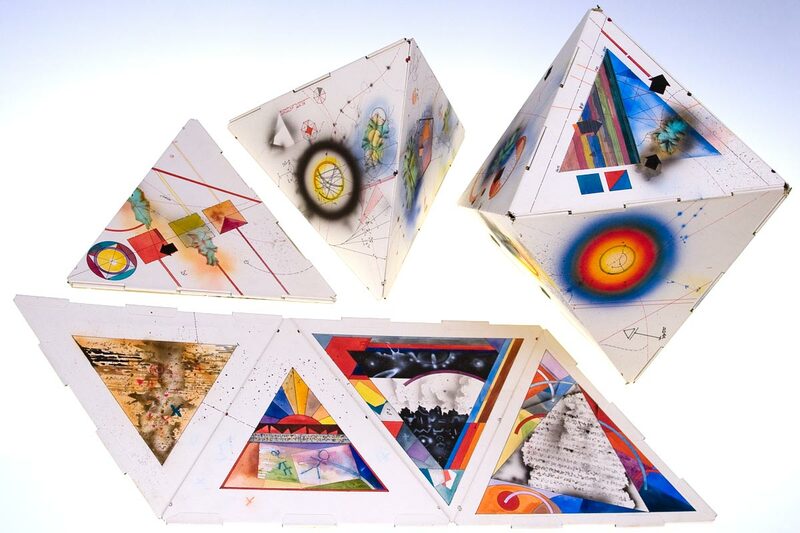 Page panels are pinned together to form various Platonic solids.